One of the best, compilation albums to be released in the 1970's. Most of the songs appear here on LP for the first time. 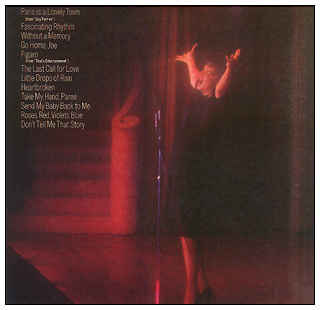 Although this is only one disc, the cover is a "gatefold" which opens up to reveal what would become the cover and back cover of the re-release in 1982. The first 4 are the only tracks from the Decca years, the rest being Judy's four sides for Columbia Records, and selections from the soundtrack of Judy's only animated film "Gay Purr-ee" (UPA/Warner Bros. 1962). 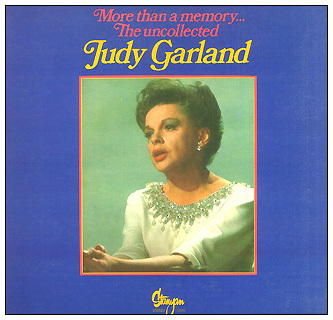 "Little Drops Of Rain" from "Gay Purr-ee" would become one of Judy's favorites songs. She would later sing it as a Christmas ballad on her TV Series in 1963. Photo at right: The back over of the LP. CLICK HERE to see the 1979 Brazilian version. CLICK HERE to see the 1982 American re-release.